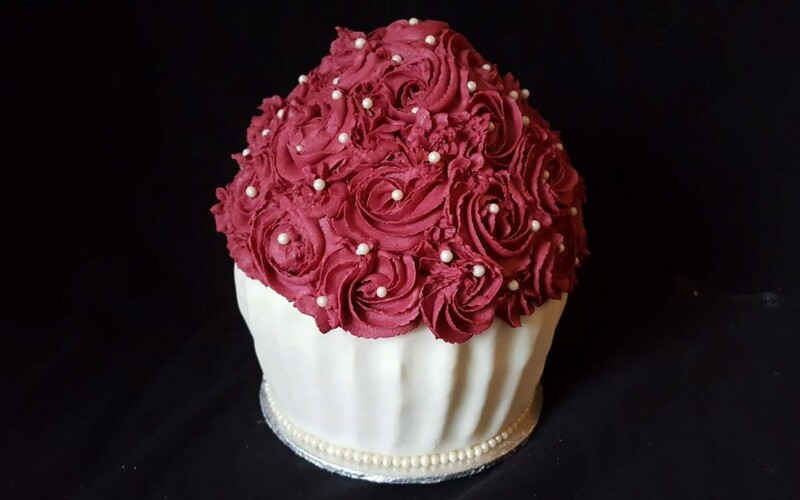 A red velvet flavoured giant cupcake made to go on top of a cupcake tower for a wedding. 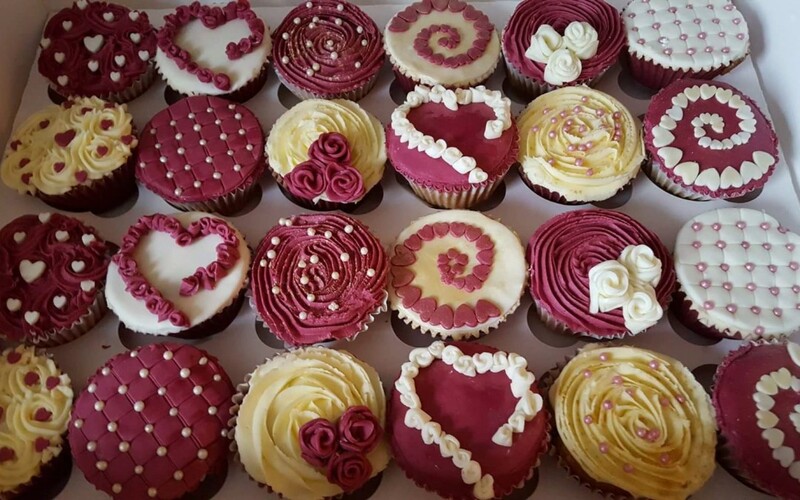 decorated in the wedding colours of burgundy and champagne. 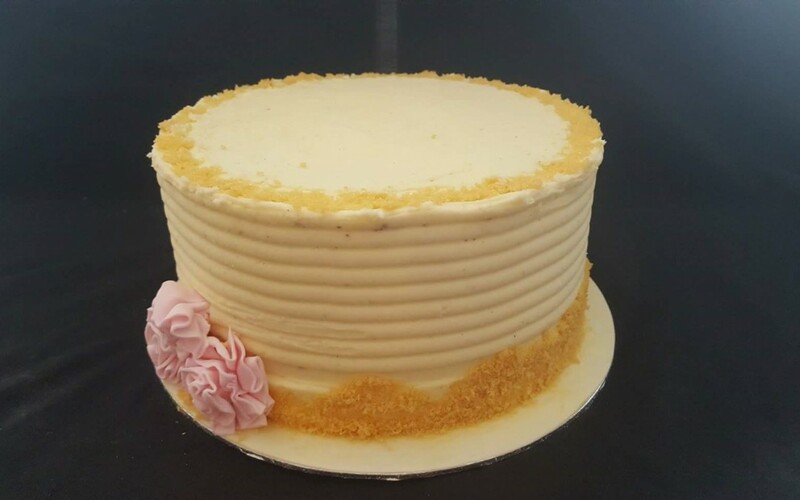 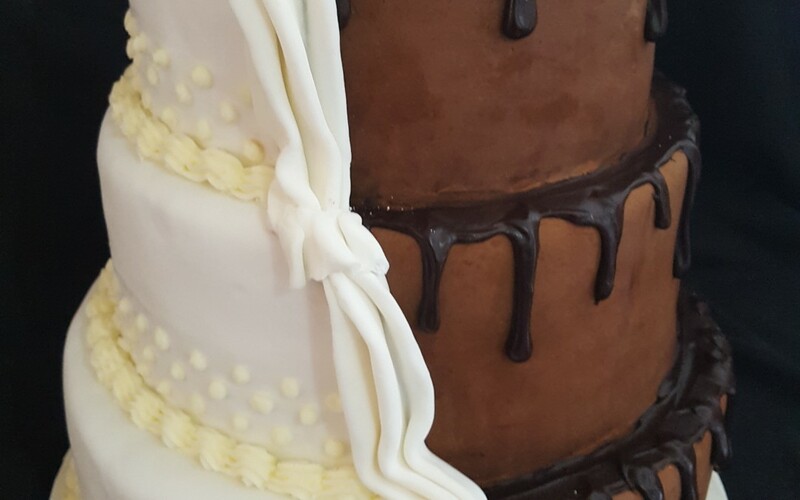 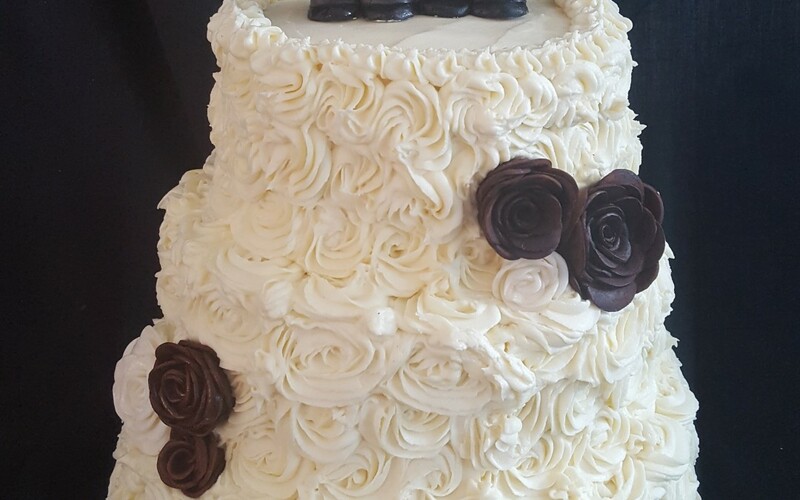 With buttercream rose swirls and pearls.